The Unfaithful Ways are a self described ‘band of brothers’ at the forefront of the country revival in NZ. Their debut album Free Rein was released late in October, and they are about to begin a small national tour, heading to Wellington, Paekakariki, and Auckland after their first show tonight (24th Nov) at The Brewery in Christchurch. Under the Radar had a chat with drummer Simon Brouwer about what makes country music universal and why it seems to be resonating with Gen-Yers. Congrats on the album, how’s it all been going since then? So far we’re really happy with how things have gone since the release of Free Rein in October. We’re pretty much self-managed and we’ve had good feedback so we’re happy. When are you playing some shows? 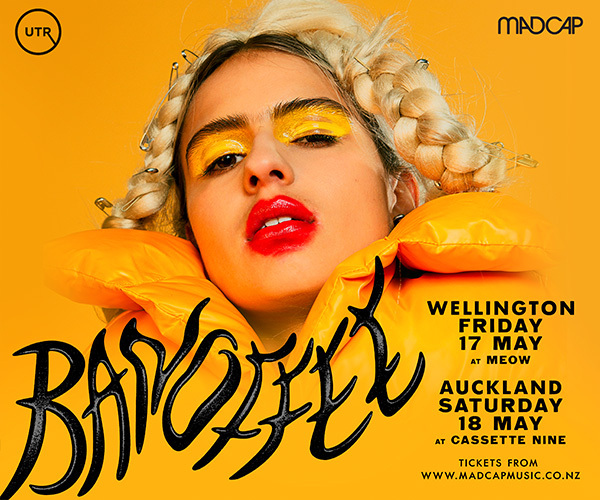 We’ve managed to do some promo up in Auckland and we’re trying to piece together a tour, but it’s been a bit hard to get dates post Rugby World Cup. 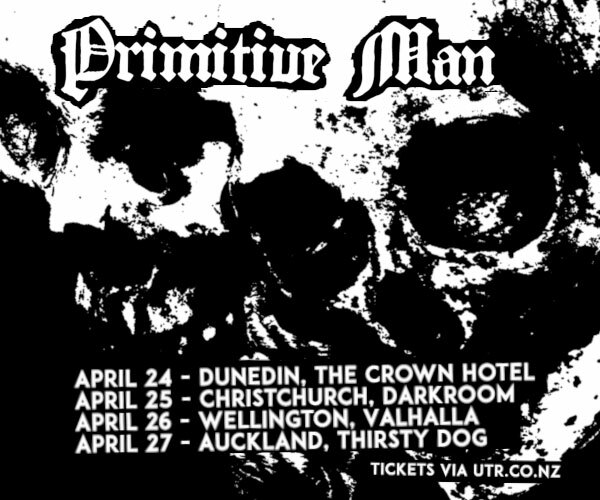 We’ve got one on the 24th in Christchurch at the Dux, which is finally about to re-open. We’ve also got shows coming up in Wellington, Paekakariki and Auckland, and hopefully we’ll do another round in Jan and Feb.
Tell us a bit about yourself and your band mates? I (Simon) play the drums in the band, then there is Marlon who is the front man - he plays the acoustic guitar and is the main songwriter. The vocals are sort of shared out between us, and Seb is singing quite a few leads these days. He also plays the electric guitar and writes a few of our songs. Then there is Ben who plays bass and sings on a few tracks as well. I'm a teacher, which is how I met Marlon and Ben. Marlon works over in Lyttleton at the dairy, Ben’s at Uni, and Seb has finished studying and is running a contemporary art gallery. How do you work as band creatively? Who writes most of the songs, how do you pull them all together? Marlon’s pretty good at brining songs that are pretty much complete - his style is very country, and in terms of my perspective as the drummer, they are sort of obvious, the arrangements are obvious. We don’t like to dress them up too much because they are classic in structure and we don’t want to overcrowd the song by putting on fancy arrangements just for the sake of it. Ben’s songs are a little bit more open to which direction we can take them in and the band will naturally try a few ideas out until things come together. We’ll all throw in suggestions about which kind of groove the song should have and the type of guitar sounds we’ll go for. It’s pretty democratic. Since I’m talking to you, the drummer, what is your approach to arranging a song? What kind of aesthetic do you have? I’ve played with a few bands before - I’m the oldest in the band - and the thing I really liked when I met Marlon and Ben is how mature they are in their approach. They are focused on the song rather than with other younger bands where it can be about effects pedals, big drums beats, and fancy arrangements. They’re about what’s gonna convey the emotion of a song. I quite like using shakers and percussion to add texture to a song rather than a fancy drum part so I guess that’s my philosophy. You’re a pretty young band, do you think there has been a bit of a resurgence of country music for young people in this country? When I was younger I wasn’t hugely into country because the stuff I heard coming out of the States was really poppy, which didn’t appeal at all. But, I guess once you get a bit older and start listening to the lyrics of the songs, rather than the blistering guitar solos, you realize there is perhaps more of connectedness with emotions. They look at the darker side of humanity, the loneliness, the sadness, which I think a lot of people connect to. A number of young people have rediscovered that, and getting back to the essence of what music is about, that appeals to some younger people I guess. So what is it about country music that you love? A lot of the 60’s and 70’s stuff was really about creating a good, classic song. It’s stuff that everyone deep down enjoys. I think deep down, just like everyone loves a good pop song, they love a good, classic country song too. There is something quite universal about them. So which artists were inspirational for you? People we really like are… well we take a lot from The Band, because they have a couple of songwriters, share vocals, and manage to pull a few genres together to get that great Americana sound. The other guys like the Flying Burrito Brothers, Gram Parsons, in the late 60’s and 70’s, they pulled country music out of the honky-tonk club and a bit more into the mainstream. In terms of modern bands, people like Wilco are pretty cool - I always see Wilco a bit like the American Radiohead. They’re great at taking classic country style songs and deconstructing them. Ryan Adams obviously over the years has been one of the leaders in Alt-Country as well. Does the music you make reflect your parent’s record collections? Not so much with my parents – my parents laugh at me now because they can’t believe I’m playing country music when I was always so scathing of it when I was a kid. But, Marlon’s Dad especially, was always into punk music, and is sort of a muso guy. You see him around Lytlleton and he’s always off to the second hand store to pick up another great vinyl. He got Marlon into that. Seb’s Dad has long conversations with him about Bob Dylan, the Band, and all the artists he was into when he was a kid so I think he loves that Seb’s into it too – trying to live out the dream I guess. You’ve had some great opportunities as a band so far, like opening for big international acts and playing on a Townes Van Zandt tribute album, how did you arrange that? The Townes Van Zandt album happened by chance. Marlon was sifting around the Net and found the Myspace page for this album, and saw they were going to do another one and were asking for submissions. Basically we emailed them and said it sounded cool, and they looked at a couple of older songs on our Myspace page and said to send them something and they’d consider it. We had finished recording our album, but we called Ben who runs the studio, and said we’re gonna come in and do this song.We bashed it together quickly in one afternoon, but we really liked it, sent it off, and they were keen to have it. Listening to the album we thought it fitted really nicely. So I guess like all bands, the internet has been pretty important for you? Everyone now is taking advantage of the Net to connect. Especially being in Christchurch away from the bigger media centres, it’s a great way to market ourselves. We haven’t quite got Twitter savvy yet, but it’s good to see bands putting what they do creatively out there. So what’s coming next for you? We basically want to tour the album as much as possible. If we can get bigger supporting gigs that would be great. We’d love to do another video too and we’re working on new material, so I guess it’s just keeping everything going and enjoying it.